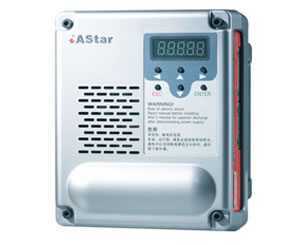 iAStar-S2 elevator door inverter, as its name indicates, is a frequency inverter especially for elevator door control and other types of automatic door control as well. It is designed based on vector control and V/F control technologies, and features compact and rational structure, small size, simple wire connection, and easy testing and commissioning, etc. Users can also choose an elevator door inverter with parameters compatible with their doors, thus avoiding testing and commissioning on site. While designing, we give the highest attention to varied application demands of end users, so our elevator door inverters have multiple functions, simple use and high operation safety standard. 1. Based on the requirement related to the control performance of lift door, the elevator door inverter adopts vector control and V/F control technology. The PI parameter is settable. With high frequency resolution up to 0.01Hz, the speed control performance and the positional accuracy of the door operator are hereby improved. 2. The IPM, together with advanced control technology, makes for stable and reliable operation of the elevator door inverter. 3. Engineered with wide voltage input range and automatic voltage adjustment function, this product is suitable for the application in severe environment. 4. Multiple groups of parameters can be set up for operation curve. 5. Constant torque for door opening and closing. 6. The adjustable torque compensation capability makes the elevator door inverter suitable for door leaf with different weights, ensuring mild door opening and closing, as well as the safety of the passengers. 7. The function of door-width self learning ability results in the proper operation of the elevator door. 8. Our elevator door inverter is designed with multiple protection functions, such as over-torque protection, anti-pinch protection, door-closing rotor-locking function, etc. 9. CAN communication ensures high-speed, safe, and reliable data transmission. As a specialized elevator door inverter manufacturer based in China, STEP also provides harbor crane 4-quadrant inverter, 16-bit parallel main controller board, elevator group control system, escalator control cabinet, and much more.